It seems a little counter-intuitive that the military would be a welcoming place for kids. But the the truth is, military service affects everyone in the service member’s family–from the military spouse to the tiniest kiddo. And the military is often progressive in its social stances when it comes to families, often keeping up with innovative ideas like parental leave policies. It’s not just a nice thing to do– it’s something that the DoD knows it must do to keep retention rates of currently serving troops and to entice others to sign up. The military community also understands that taking care of the whole family–not just the service member–is really important. 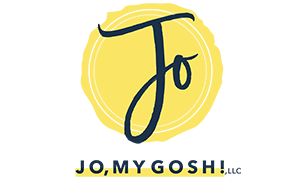 I’ve shared with you a lot of fantastic resources for military families over the years from the DoD and non-profit organizations. If you haven’t checked out this list of free stuff for military moms and moms-to-be, you definitely should. But what happens after you have the baby? Here are some fantastic baby-friendly activities and places that military families can enjoy (and many of them are free or have military discounts)! Thanks to 1 Natural Way for sponsoring this post… and giving me the opportunity to bring you these fantastic events and opportunities. 1 Natural Way is a TRICARE breast pump provider that works to make sure you are able to take advantage of your TRICARE benefits as easily and painlessly as possible and all at no (or very, very little) cost to you. In stock at 1 Natural way are high-quality products like Kiinde, Medela, and Spectra. Simply fill out the insurance information form found here, choose the breast pump model you like (they’re all TRICARE-covered), enroll in 1 Natural Way’s Resupply program to get supplies and products sent to you monthly, and upload your prescription. Everything ships directly to your door. Need an inexpensive way to get the kids out of the house for a bit? Check out Blue Star Museums, a program run by Blue Star Families in partnership with the NEA. From Memorial Day to Labor Day, thousands of museums around the country allow active duty military, National Guard, Reservists, and their families free admission. Many of these museums are kid-friendly like expERIEnce Children’s Museum in Erie, PA, the New Children’s Museum in San Diego, CA, and The Hermitage Museum and Gardens in Norfolk, VA. Because admission is free, you can stay as long as you’re able and see the things that interest your family without feeling guilty. The USO’s Bob Hope Legacy Reading program brings books to military kids in a variety of ways. At some installation’s USOs, there are in-person reading groups for parents and young children. Some of these programs include craft time, others are focused on particular topics, like deployment. Another program through the USO, EmPaCt is a whole-family mini day retreat where kids lead parents through play-based exploration and fun. If you live close to a National Park, Historic Site, Battlefield, Seashore, or other federal park (and chances are you do), take the kids out for a picnic or a walk. Many national sites run by the National Park Service are free; for those that aren’t, there’s the America the Beautiful pass– a free annual pass available to active duty, Reserves, and National Guard families. Many of these sites also provide child- and family-friendly activities that are structured (like storytelling walks or craft-based activities) or learn-on-your-own opportunities (like the Junior Ranger Program). Sesame Street has a close partnership with the USO and provides many resources–both online and in-person–for military families with young children. The USO often works with Sesame Street Live! to bring the kid-focused program on bases for military families for free. Keep your eyes peeled at your base; tour dates are often announced for a whole year and include OCONUS and CONUS sites. If you need a weekend break, check out the military campgrounds on or close to your base. There are all levels of campgrounds–from RV parks, to tenting sites, to cabins. You may have to schedule in advance, but the MWR rates make it reasonable and worthwhile. MOPS is open to mothers of any stripe, looking for the support of other moms. Meetings take place in person–babies and children are welcome– and vary from local group to group; many installations have chapters on base or are very close to the gates. MOPS International is an evangelical non-profit Christian group which requires local chapters to agree to their founding religious principles. There is an annual membership fee. The Armed Services YMCA offers a variety of opportunities for parents and children. If you need a break, most ASYMCA’s offer respite child care for infants through tweens. Other programs like organized rec time and Operation Hero (an afterschool program) provide safe places for older children. Moms Run This Town is a fitness group that has chapters all over the country. (And there are a few chapters across the world, including Naval Air Facility Atsugi, Japan.) Mothers can run individually or with strollers– it’s up to what works for you. You can search for your nearest chapter here. Founded by a military spouse and located only on OCONUS and CONUS installations, Stroller Warriors is specifically for military spouses and their kiddos. There’s a focus on safe running and workouts; for the workout portion of the meet-up, children have supervised activities or playground time. Membership is free. If you’re located close to a zoo, check it out! Not only are zoos, aquariums, petting zoos, and other animal-focused events and attractions usually kid-friendly, may offer military discounts, too. Local parks–whether on- or off-base– are perfect, low-key, and low-stress places to take the kids, especially as you’re getting used to another new human being in your family. When the weather’s nice (or blazingly hot, you know, whatever happens where you live), check out the pool. Some on-base pools are free, while others may have fees, but they’re all kid-friendly. If your base pool has adult swim, make sure that you check those times so you’re not stuck sitting on hot pavement with your children, waiting for the hour to end. Libraries–whether they’re on- or off-base–often offer weekly or monthly play dates and reading events for parents and young children, including babies. Check with your local libraries to see what they have in store! Check out the fitness trails and playgrounds on base and in the surrounding area. These are perfect places to take the kids and get a little bit of fresh air. Every installation has special events and opportunities for people of all ages, including the littlest dependents. Check your on-base and off-base announcements regularly for kid-friendly activities.